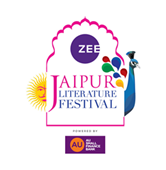 Jaipur: Heralded as the biggest literary phenomenon in the world, the ZEE Jaipur Literature Festival 2018 is all set to host a stellar line up of over 350 writers, thinkers, politicians, journalists and popular cultural icons from across the globe; bringing artistic and literary talent from all walks of life on one prestigious stage. Continuing its tradition of being a platform that celebrates the word, the ZEE Jaipur Literature Festival will have a spate of new book launches at the event. The first book to be discussed will be The Last Email by Mridula Garg in conversation with Chandrahas Choudhury launched by Malashri Lal. It highlights the interspersed conversations on personal stories and histories between a patriot and a writer, making it a tale of two lives lived with passionate intensity and steeped equally in love and in memory. The book will be launched at the Mughal Tent between 1:40 – 2: 20 pm on 25th January. Narrated from Queen Padmini’s perspective, Padmini: The Spirited Queen of Chittor by Mridula Behari, will tell a riveting tale of the famed legend and the political intrigue of the Rajput court. Book launch: Padmini: The Spirited Queen of Chittor by Mridula Behari in conversation with Swati Chopra is scheduled at Mughal Tent between 4:45 – 5:15 pm on 25th January. After this work of historical fiction, mythology follows next with the launch of The Golden Dakini that delves into the Tibetan-Buddhist mythology with its celestial characters and plot. Book Launch: The Golden Dakini By Charu Singh in conversation with Andrew Quintman is scheduled at the Front Lawn between 4:45 – 5:15 pm on 25th January. Retelling the history of Indian classical music, India’s Heritage of Gharana Music: Pandits of Gwalior provides deep insight into the depth of the gayaki of Gwalior and the generosity with which the art disseminated all over India. Numerous legends, rare anecdotes, folklore, narratives make it very interesting reading along with rare pictures from the family archives. Book launch: India’s Heritage of Gharana Music: Pandits of Gwalior by Meeta Pandit, in conversation with Alka Pande and launch by Vishal Bhardwaj is scheduled at Charbagh between 4:45 – 5:15 pm on 25th January. The fourth volume of Chhote Haath Badi Baat is an anthology of literary and artistic works created by young children from diverse educational and socio-economic backgrounds throughout the various workshops and celebrations organised by Bal Bhavan Jaipur over the past year. The central theme revolves around the lessons that we all can learn from nature, and above all, the lesson of selfless service. Book launch: Chhote Haath Badi Baat by Bal Bhavan Jaipur, launch by Satish Mehta is scheduled at Baithak between 4:45 – 5:15 pm on 25th January. Memories of Fire by Ashok Chopra is a distinctive period charm. Colourful, emotional, political and social journey, the book is tale of five childhood friends, four of whom are meeting after a gap of fifty-four years. They embark on a journey into the past, laden with nostalgia and humour, and encompassing all the ugly and wonderful things life has to offer. Book launch: Memories of Fire by Ashok Chopra is scheduled at Charbagh between 4:45 – 5:15 pm on 26th January. Enchanting the audience with the might and treacherous beauty of the Himalayas, the Himalayan Arc: East of South East edited by Namita Gokhale gives the unique identity of a Himalayan citizen to the ‘geopolitical jigsaw’ that is the region; from the hidden spy network in Kathmandu to intimate portraits of Shillong, Gangtok, Darjeeling and other cities; from the insurgency in Assam to a portrait of Myanmar under military rule, the essays, stories and poems in this anthology highlight the similarities within the differences of the Himalayan belt. Book launch: Himalayan Arc: East of South East edited by Namita Gokhale, readings and conversations with Janice Pariat, John Elliott, Ma Thida, Manoj Joshi, Prajwal Parajuly, Salil Tripathi and Sujeev Shakya is scheduled at Samvad between 1:40 – 2:20 pm on 26th January. Scattered Rays by Poonam Surie is a personal anthology reflected in poetry. The journey and the rich tapestry of experiences are what make one’s identity as a person evolves, over time and space. Book launch: Scattered Rays by Poonam Surie in conversation with TCA Raghavan is scheduled at Samvad between 4:45 – 5:15 pm on 26th January. Pulp Fiction is captured in its most prolific form with writer Surendra Mohan Pathak’s works. In the first of his three-volume autobiography, Na Bairi Na Koi Begana, Surendra Mohan Pathak takes readers through his childhood, boyhood, and youth. Book launch: Na Bairi Na Koi Begana by Surendra Mohan Pathak in conversation with Poonam Saxena is slated for launch at the Front Lawn between 1:40-2:20 pm on 27th January. Brigitte Singh: Printress of the Mughal Garden highlights the story of well-known textile designer Brigitte Singh and how she has approached her craft with an archaeological devotion, peeling of dusty layers from the long-obscured story of block printing in the subcontinent. Book launch: Brigitte Singh: Printress of the Mughal Garden by Bishwadeep Moitra is slotted at the Mughal Tent between 1:40 – 2:20 pm on 27th January. Former Delhi Chief Minister Sheila Dixit will be releasing her memoir Citizen Delhi: My Times, My Life at the festival, talking about her political journey. Book launch: Citizen Delhi: My Times, My Life by Sheila Dikshit in conversation with Karan Thapar, launch by Sanjoy K. Royis scheduled at Samvad between 1:40 – 2:20 pm on 27th January. Book launch by Vikrant Pande will be launched at Baithak between 12:30 – 1:30 pm on 27th January. Noted designer JJ Valaya will be launching his book of photographs of Goa with The Little Book of Memories: Istanbul and Goa and will in conversation with William Dalrymple. Book launch: The Little Book of Memories: Istanbul and Goa by J.J. Valaya will take place at Charbagh between 4:45 – 5:15 pm on 27th January. Governing the Ungovernable by Ishrat Hussain attempts to examine the reasons behind, the volatile and inequitable growth of the last 25 years in Pakistan and through a process of theoretical and empirical evidence, argues that the most powerful explanatory hypothesis lies in the decay of institutions such as governance. Book launch: Governing the Ungovernable by Ishrat Hussain in conversation with Surjit Bhalla, book launch by Shyam Saran is at Front Lawn slotted between 4:45 – 5:15 pm on 27th January. Rounding up the day will be the launch of Radius 200 by Veena Nagpal dealing with a dystopian love story set in a post-nuclear war world and Behind the Scenes by Lorenzo Angeloni, a musing on love and its journey through the eyes of the writer. Book launch: Radius 200 by Veena Nagpal in conversation with Rakhshanda Jalil is slotted at Baithak for 4:45 – 5:15 pm on 27th January and Book launch: Behind My Scenes by Lorenzo Angeloni is slotted at Samvad for 4:45 – 5:15 pm on 27th January. Small Acts of Freedom by Gurmehar Kaur is the story of three generations of strong, passionate single women in one family, women who have faced the world on their own terms. With an unusual narrative structure that crisscrosses elegantly between past and present, spanning seventy years from 1947 to 2017, the book is about courage, resilience, strength, and love. Book launch: Small Acts of Freedom by Gurmehar Kaur in conversation with Manasi Subramaniam, launch by Shashi Tharoor is slotted at Front lawn for 4:45 – 5:15 pm on 27th January. Pakistan Heritage Cuisine: A Food Story, published by Markings Publishing, explores how the cuisine of a country is intricately woven into its fabric and is shaped by the history and characteristics of the region and its people. Book launch: Pakistan Heritage Cuisine: A Food Story by Sayeeda Leghari, in conversation with Vinod Dua, Atul Bagai, and Hussain Haroon, launch by Deepa Bagai is slotted at Samvad for 1:40 – 2:20 pm on 28th January. Andhakar Kaal: British Samrajya Bharat Mein is the Hindi version of An Era of Darkness: The British Empire in India by bestselling author and politician Shashi Tharoor. Book Launch: Andhakar Kaal: British Samrajya Bharat Mein by Shashi Tharoor in conversation with journalist and writer Anant Vijay and editor and journalist Saurabh Dwivedi. Unveiling of Mr. Tharoor’s book by Rukshmani Kumari is scheduled at Front lawn for 1.40pm- 2.20pm on 28th January. Chinatown Days looks into the horror-ridden hardships of the slave pens of Assam to the Sino-Indian war; this searing novel tells the story of the Chinese Indians, a community condemned by intolerance to obscurity and untold sorrow. Book launch: Chinatown Days by Rita Chowdhury in conversation with Anne Cheng is scheduled at Charbagh for 4:45 – 5:15 pm on 28th January. The Inspiring Stories of Women from Across India Who Are Writing Their Own Destiny is a tribute to the courage and confidence of the Indian woman from Korba to Kashmir and with each personal triumph lies a larger story – of boldness, of transformation. Book launch: The Inspiring Stories of Women from Across India Who Are Writing Their Own Destiny by Rashmi Bansal, launch by Sonal Mansingh is slotted at the Front Lawn for 4:45 – 5:15 pm on 28th January. Book launch by Hema Maira is scheduled for Samvad between 3:45 – 4:45 pm on 28th January. Satish Gupta brings alive his drawings, sculptures, calligraphy, haikus, and stories in Zen Whispers, showcases a profoundly personal journey with sudden insights and revelations. Book launch: Zen Whispers by Satish Gupta is slotted at Mughal Tent for 4:45 – 5:15 pm on 28th January. Book launch: Are You Making the Most of Life? by Vinita Dawra Nangia, launch by Shobhaa De is at Baithak slotted for 4:45 – 5:15 pm on 28th January. Drawing on her vast experience as a senior advocate and additional solicitor general at the Supreme Court, Pinky Anand examines criminal cases that have captured public interest in Trials of Truth: India’s Landmark Criminal Cases. Book launch: Trials of Truth: India’s Landmark Criminal Cases by Pinky Anand and Gauri Goburdhan, launch by Kathy Reichs is slotted at the Mughal Tent between between 1:40 – 2:20 pm at Mughal Tent. Audiences can buy books on site at the Official Festival Bookstore.